WELCOME TO DUNWOODY, GEORGIA Just above Atlanta, the city of Dunwoody is an ideal destination for events of any size. With a central location and close proximity to Hartsfield-Jackson International Airport, MARTA transit and major interstates, guests and attendees can travel in and out of Dunwoody quickly and easily. Once here, our seven hotels conveniently offer complimentary shuttle service to many top-rated shopping and dining establishments in Perimeter Center. Alternatively, Dunwoodyâ&#x20AC;&#x2122;s walkability allows you to take the scenic route with trails and paths scattered throughout the city. 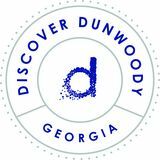 Factoring in location, cost and convenience, Dunwoody is simply the best place for business, leisure, or special events during your visit to the Metro Atlanta region. MEETING SPACE + HOTELS With over 66,000 square feet of meeting space, Dunwoody’s event facilities offer the utmost in comfort, flexibility and modern features. Whether planning a seminar requiring breakout rooms and banquet space or an upscale meeting with the finest amenities, we have the capabilities to make your next event a seamless success. Visit www.CVBDunwoody.com/Hotels for more information.